Welcome to the first edition of the Debut Dish for 2015! Something strange is going on in the tiny coastal town of Liberty, Oregon. Cara has never seen a whale swim close enough for her to touch it—let alone knock her into the freezing water. Fortunately, cute newcomer David is there to save her, and the rescue leads to a bond deeper than Cara ever imagined. But then she learns something about David that changes everything, and Cara is devastated. She turns to her best friend for support, but Rachel has changed. She’s suddenly into witchcraft, and is becoming dangerously obsessed with her new boyfriend…. Cara has lost her best friend, discovered that her soul mate is off limits, and has attracted the attention of a stalker. But she’s not completely alone. Her mysterious, gorgeous new friend Garren is there to support her. But is Garren possibly too perfect? Young adult paranormal romantic thriller. 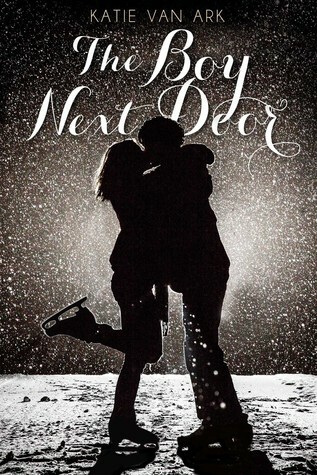 In this intensely romantic novel from Swoon Reads, Maddy falls in love with her skating partner—who is also the boy next door. Maddy Spier has been in love with the boy next door forever. As his figure skating partner she spends time in his arms every day. But she’s also seen his arms around other girls—lots of other girls. Gabe can’t imagine skating with anyone but Maddy, and together they have a real chance at winning some serious gold medals. So, he’s determined to keep thinking of her like a sister. After all, he’s never had a romantic relationship that lasted for more than two weeks. But when their coach assigns a new romantic skating program, everything changes. Will this be the big break that Maddy’s been hoping for or the big breakup that Gabe has always feared? THE CUTTING EDGE meets FOREVER. Being able to give hugs and props to all the people who helped me on my journey to becoming an author. I have so many people who provided me with courage, inspiration, and support and I love being able to tell them how they made this possible. A dust-covered tarp. Really. We are in the process of renovating our house, which means that these days I usually end up writing on my laptop at my kitchen table or kicked back on the couch. Which is actually totally comfortable and cool. Kaitlin has always dreamed of being a champion figure skater, and she’s given up a lot to pursue her passion. But after having a totally uncharacteristic and decidedly NOT figure-skating-approved tantrum after getting her scores at a major competition she’s dropped by her coach and prestigious skating club. When no other club in town will have her, she’s forced to join the ridiculed and rundown Fallton Club, jokingly referred to as the Fall Down Club. At first Kaitlin thinks this is a complete disaster, but after meeting some of the other skaters, including a boy (who happens to have the most perfect hair she’s ever seen) Kaitlin thinks it might actually not be so bad. But when she’s tasked with learning a whole new program right before Regionals and figures out that almost all the other skaters target Fallton, she thinks joining the Fall Down Club may just be the second biggest mistake she’s ever made. In this figure skating themed debut, Kaitlin learns that when you fall down, you have to pick yourself up – even if it’s in front of judges and a crowd. Skater starts over with misfits. 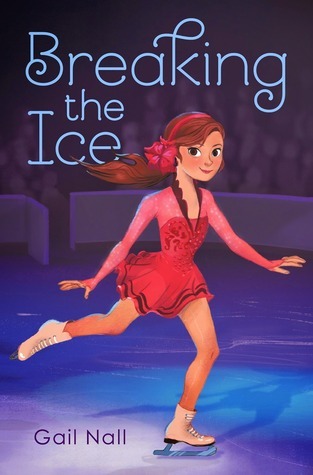 BREAKING THE ICE is about a girl struggling to find her voice–and it’s set in the world of competitive figure skating. I grew up skating and loved adding all the little details that make BREAKING THE ICE full of insider skating knowledge. There’s also a cute boy with swishy hair, a mean girl in skates, a wild Zamboni ride, and lots and lots of sparkly stuff. Because hey, what’s skating without the sparkles? Dreams come true. That’s cliched, I know, but it’s so true. When you work toward something for long, and face the inevitable rejections, and fantasize over and over again about the day that you’ll find your book on a shelf with your name on it…yup, dream come true! Twizzlers. I can eat an entire bag! 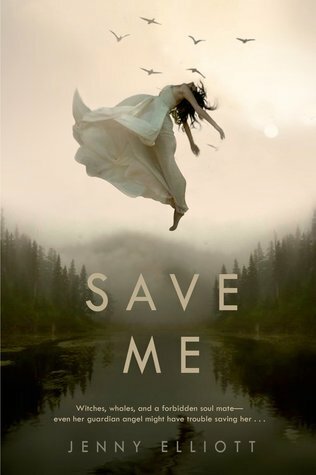 Save Me sounds right up my alley, so I will have to check that one out. I wasn’t going to do the debut challenge but decided to do it anyway..lol. Never fell for the boy next door cause there really wasn’t one to fall for we lived out in the country and neighbors were a field away..lol. I just added a couple of these to my Amazon wish list. I love that there’s two figure skating books – it’s my second favorite Olympic sport to watch. So excited for a new year of debut authors, and starting the year with Ice skating books seems so appropriate for January dish. The Boy Next Door sounds like the most intriguing one for me. Can’t wait to see more of this feature! Wow, such amazing books for 2015! I’m looking forward to the The Boy Next Door…sounds like my type of read. Thanks for the giveaway! No boys lived next door. I lived in the middle of no where, there wasn’t a boy next door. There was a boy across the road I held hands with a few times. These books sound wonderful and are totally on my radar! I’m so stoked for this challenge this year! :) Thanks for hosting! The best part? When I accepted the offer for my first book, my youngest daughter asked me, "Mom, if I keep working hard and don't give up on my dreams, will I be able to make my dreams come true too?" Yes, sweetie, you can! Oh gosh, what didn’t I want to be when I grew up?! I wanted to be a mermaid, an astronaut, a paleontologist, and the list goes on. But the one that stuck was a writer. Thanks for the chance to win a copy of Breaking the Ice! It sounds super cute with still a lot of feels!